For this week's ep of my podcast Apt. 5B I'm chopping it up with Vegas, Jake and DJ Wreck 1 about one of the most important but slept on parts of the hip hop culture which is mixtapes. 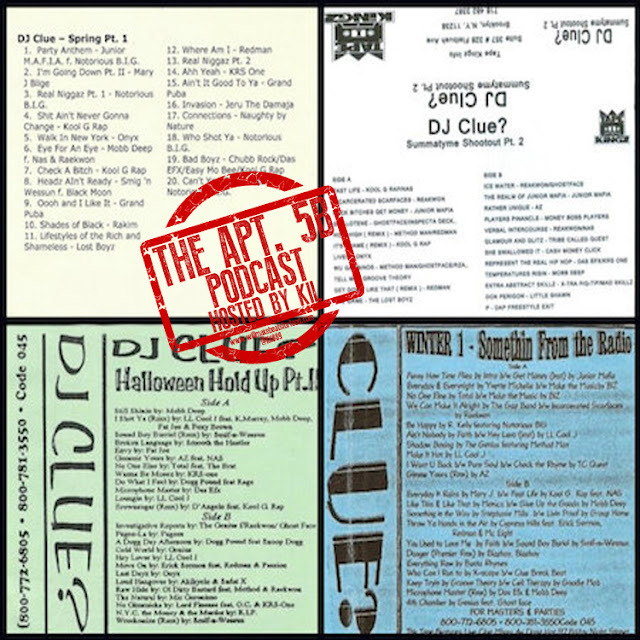 We're chopping it up from day one of the art form with Flash's "party tapes" to the DJ skills tapes of the 80's and the blend tapes of the early 90's to the "exclusive" tapes of the mid 90's, how 50 Cent changed the ENTIRE mixtape game, how mixtape went from exclusives into being the new demos to where we are now with mixtapes actually winning grammys! We're also breaking down Nas' classic line "don't ever put me in your box if your ish eats tape" for our younger viewers who have never had a tape pop in their box or walkman and we also break down how we'd perform surgery on tapes if one did pop! Trust this is ANOTHER dope ep that will have folk my age reminiscing and younger folk shaking their heads and thanking God for the MP3! Don't forget to subscribe to our You Tube Channel!